Well, the Action 52 developers Reunion happened April 14th, 2013. It was a typical South Florida bright and sunny day and I was invited to a hotel by Mario to catch up and talk about old times with him and the rest of the team. Greg Pabich of the recent Cheethamen projects was also there. Mostly it was just about catching up with what we've been doing, what we've done, the different paths and locations our lives have taken us. It's funny how we share most of the same recollection of events, but, in some instances we reminded each other of things that happened, dates, milestones, etc. I met them all in the hotel restaurant, they had just finished lunch. I was welcomed with open arms by these old comrades, as if we had last seen each other a few weeks ago, not 20+ years ago. So, I sat down and we just started talking about where we each lived, what we were doing, etc. We shared a lot of common friends, names I haven't heard of in years, so that was nice. After a while, we adjourned to one of their suites and kept chatting along, mostly about what we recalled about or Action 52 adventure. I confirmed I was not the only one that had never met a Saudi Prince, but, that' doesn't meet he didn't exist. 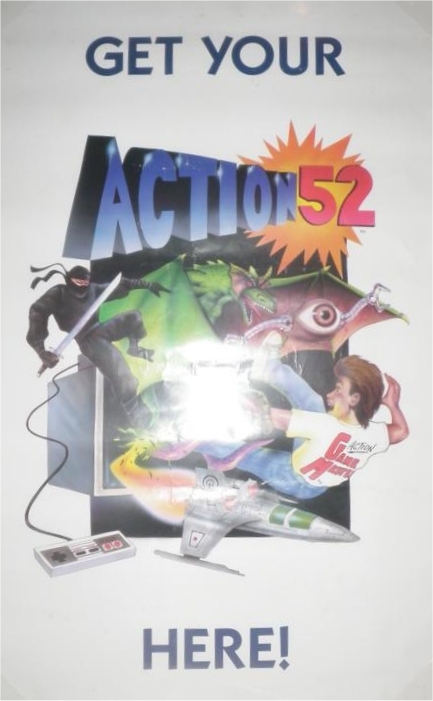 We also agreed that Mikey C. was the voice of "Make your selection now" in the Action 52 intro. We talked more about the cave we worked in, the things we did to entertain ourselves. We took this picture by the pool. After a few hours of catching up, we went back up to Mario's suite and played our now infamous creation Action 52. We laughed, and laughed, and then laughed some more. It's just funny to see the games now and the reasons they have become so popular. We ended our reunion with the sharing of cell phone numbers and the promise to stay in touch. There was also talk about a collaboration. I can't go into details as we didn't actually go into details, but, suffice it to say that we all agreed it would be nice to design and release a product that would reinvent the Cheetahmen and Action 52 brands. 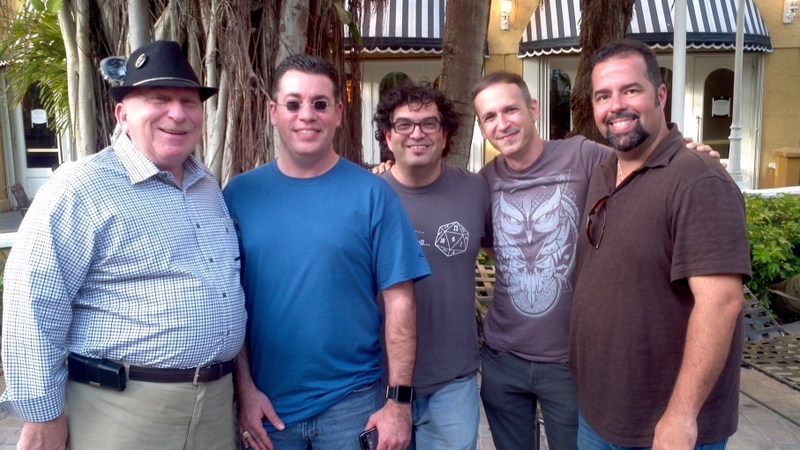 It was GREAT seeing my old friends again and meeting Greg Pabich. I hope to see them again soon.